Google is still the source of all the information you need to know, but currently you need to search for it. 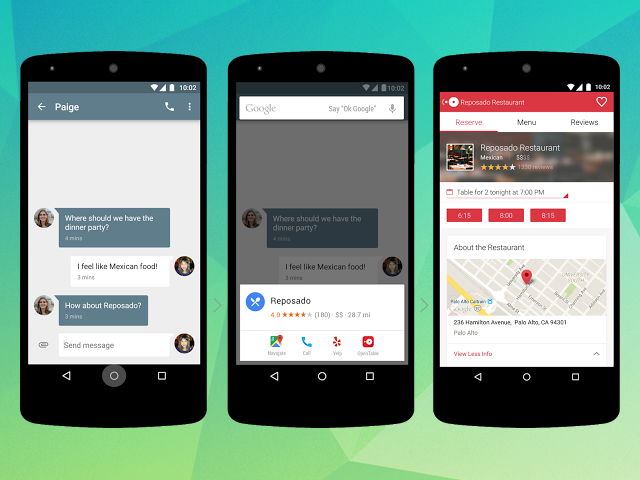 Google Now wants to surface information to people without prompting. Giving a user the information they need without them needing to know its available. Search is evolving swiftly, moving to the realm of apps and intelligent voice-based exchanges — all of which currently have little room for Google’s core business of selling search ads. Google has labored to amend that. The company has released a series of features designed to magnify and entrench its presence within mobile search, which now dominates the desktop. Chief among them is a push to let Google Now burrow deeper into our digital lives.